Marjorie Jean (Heesch) A’Hearn was born in Pipestone, MN on September 29, 1926 to Herman and Ellen (Schaffer) Heesch. She was baptized and confirmed in the Presbyterian faith and graduated from Pipestone High School. As a teenager, she lived with her family in the Pipestone County Jail, while her father was the Sheriff. On June 28, 1946, Marjorie was united in marriage to Larry Ward in Pipestone at the jail. They made their home in Minneapolis where Marjorie worked for several years as a juvenile court clerk. In the early 1980’s, they left Minneapolis and moved to Arizona. Larry passed away in 1993. On August 12, 1995, Marjorie married Clem A’Hearn and they remained living in Arizona. 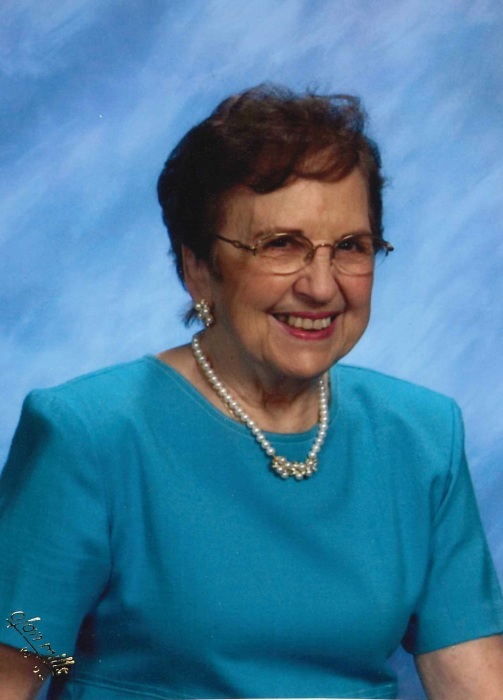 Marjorie enjoyed dancing, doing crossword puzzles, playing solitaire and loved to spend time with her family. On Sunday, May 27, 2018, Marjorie passed away under Hospice care surrounded by her family at the age of 91. She is survived by her children Linda (Duane) Carlson of Balaton, Greg (Joan) Ward of San Diego, CA, Larry Ward of Houston, TX and Judd Ward (and friend, Deb) of Minneapolis; grandchildren Scott (Mara) Carlson, Steven (Michelle) Carlson, Nathan (Holly) Carlson, Staci Carlson, Travis Ward, Vanessa Ward, Heather (Daniel) Polese, Jessica (friend, Matt) Ward, Brian Ward and James Ward; Seventeen great-grandchildren: Miranda, Ahsha, Spencer, Sylvester, Lillian, Rylie, Parker, Lucas, Leah, Joshua, Emmalee, Jade, Ruby, Emma, Autumn, Alura, and Danika, four great-great grandchildren and many nieces, nephews, cousins and friends. She was preceded in death by her parents Herman and Ellen, two husbands Larry and Clem, brother, Duane Heesch, sister, Doris Stevens, and one granddaughter, Patricia Dols. Marjorie Jean A’Hearn, 91, of Balaton, formerly of Mesa, AZ, passed away under hospice care on Sunday, May 27, 2018 surrounded by family at her daughter’s residence. Memorial services will be 11:00 AM on Tuesday, June 5, 2018 at the Chandler Funeral Home Chapel in Chandler, MN with visitation one hour prior to the service. Immediately following the service, a luncheon will be held at the Chandler Community Center. Interment will be in the Woodlawn Cemetery in Pipestone, MN.